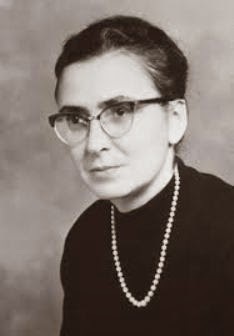 Servant of God Therese Neumann was born on Good Friday, April 8, 1898, in the small village of Konnersreuth, Bavaria, Germany, and was the eldest of ten children. Interestingly, this also happens to have been the very year when St. Therese of Lisieux, the Little Flower, who later played such an important part in Therese Neu­mann's life, passed to her eternal reward. 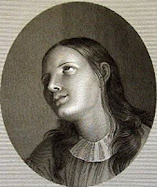 Therese Neumann, however, was named after the other Therese, that is, St. Teresa of Avila, the extraodinary mystic and reformer of the Carmelites. From her youth, her nickname was “Resl”. Church and school records identify little Resl as a person of ordinary intelligence and attainment. Her grades were average. It might be said that the one exceptional thing about her was her quiet, unobtrusive piety. Her family was always in poor circum­stances, owning a small farm, the earnings of which were supplemented by Mr. Neumann's income as a tailor. 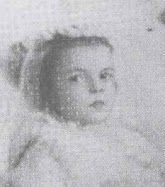 It was fortunate that Therese, the eldest child, was sturdy and able to assist her parents in caring for her younger brothers and sisters. 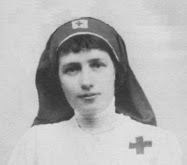 Therese's vital role in the rearing of the younger chil­dren was especially necessary when her father was called into the service during the First World War. She regarded no task as beyond her strength and was as able as most men to carry on the heavy farm work. She remarked that while she did a man's work, she also had a man's appetite. This girl who was to later to live without any food, at this time ate more than the average man. Therese's ambition was to become a missionary sister, and she was especially hopeful that she would be sent to Africa. She had a special love for the outdoors in all its varied beauty. This deep love of wildlife was manifest in the variety of plant and bird life which enlivened her little room. A far-reaching event happened in her life, without anyone realizing it, on the fateful Sunday of March 10,1918. 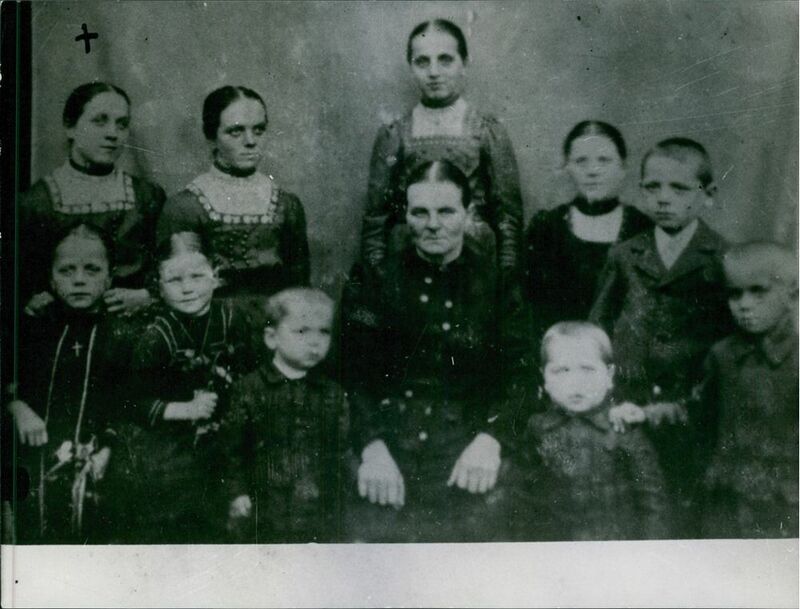 Fire broke out in the barn of Martin Neumann, Therese's uncle, for whom she was working. As part of a bucket brigade, she was lifting pails of water to someone higher up in the stable. To do this better, she stood on a stool. After sustained exertion, her clothes water-soaked, she became utterly ex­hausted and fell to the floor. With very severe pains in her spine, and unable to walk alone, she was helped by a woman to reach her home nearby. The fall had caused partial paralysis of the spine, accom­panied by very severe cramps in her legs. Physicians were called in to evaluate her condition, but they were unable to bring any relief to her serious condition. She became worse every day. One thought that caused Therese great sorrow was that she felt that her chances of becoming a missionary sister were fading away. Through an act of the will she forced herself in every way to be as active as her limited strength would permit. These efforts resulted in several addi­tional accidents and injuries. One day she fell from her chair; while prone on the floor, she struggled to get to her feet, but could not do so without help; on one occasion, perhaps hitting her head, she had been struck almost blind. In her continued efforts to move around, she often fell again. One of her most serious falls was down the basement steps in her home. These falls increased the severity of her painful cramps. Added to all this, fainting spells occurred which often left her unconscious for several days. The Physicians seemed powerless to help Therese or to hold out any hope to her grieving family. This sorrow reached a climax in March, 1919, when Therese became totally blind. Thus, a tremendous change had occurred in the life of Therese Neumann. A short while ago she had been a strong and healthy girl, with the ability to work hard; now she found herself struck with partial paralysis - a burden to the very ones she would like so much to help. It was during this time that her spiritual life blossomed. She offered herself up to the Most Sacred Heart of Jesus. She enjoyed spiritual reading, so her family members took turns reading to her about our Our Lord, the Blessed Mother, and the saints. The story of Therese- the Little Flower of Jesus was one of her favorites. Along with the pains in her legs and back, bedsores caused by her long confinement in this helpless condition added to her great sufferings. Dr. Mittendorfer, of Munich, stated that these sores were so deep that the bones were exposed. Also at times she had such severe nausea that she was forced to live only on liquids. 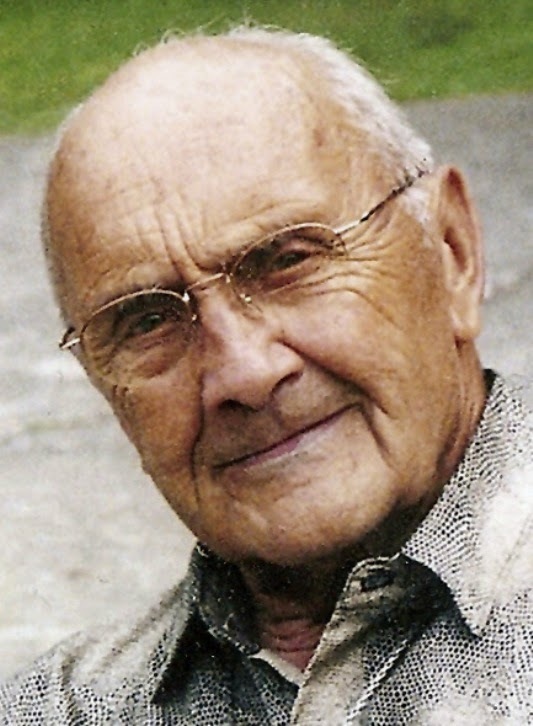 Father Josef Naber, pastor since 1909 of the parish of St. Lawrence in Konnersreuth, had been Therese's spiritual director for nine years. He was a very devoted pastor, especially to those most in need of comfort. Therese, perhaps the most afflicted of all the people in Konnersreuth, was rightfully given a large measure of his paternal care and spiritual guidance. He was deeply impressed by the resignation with which Therese bore her many sufferings. After four years of suffering with paralysis and blindness, a very joyful day was approaching for Therese. Sunday, April 29, 1923 was the day scheduled for the beatification ceremonies in Rome of the Carmelite nun, the saintly Therese of Lisieux, who had promised before her death to let fall from Heaven a "shower of roses." In the bedroom of Therese, flowers were arranged to adorn the pic­ture of the “Little Flower” which Therese had received from her father. 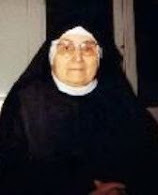 Many days before she had begun a Novena in spiritual preparation for the day when the Little Flower would be officially numbered among the beatified. The day of the Beatification arrived and as the ceremonies at St. Peter's in Rome were draw­ing to a close, the newly beatified Therese of Lisieux "showered a bouquet of roses" on her devoted sufferer; at the instant of beatification, Therese found that her eyesight was completely restored. On May 17, 1925, when Therese of Lisieux was canonized and became officially recognized as a saint of the Catholic Church, Therese Neumann heard her voice. Softly and dis­tinctly, the saint said to her, "Therese, do you not want to become well? As St Therese of Lisieux was speaking, it was as though two strong hands lifted Therese from her bed, and after being paralyzed for six and one half years, she found herself completely healed. Not only was she healed of the paralysis, but of the gaping bedsores on her body as well. According to medical reports, some of those sores were deep enough to expose her bone. In a matter of sec­onds, the sores were completely healed and were covered with a fresh layer of skin. A third intercession of St Therese of Lisieux occurred on November 13, 1925, when Therese again became very ill with an acute attack of appendicitis, for which her Physician ordered that she be taken to the hospital at once. As arrangements were being made, St Therese again appeared to her in a vision, and obtained for her an instantaneous cure. 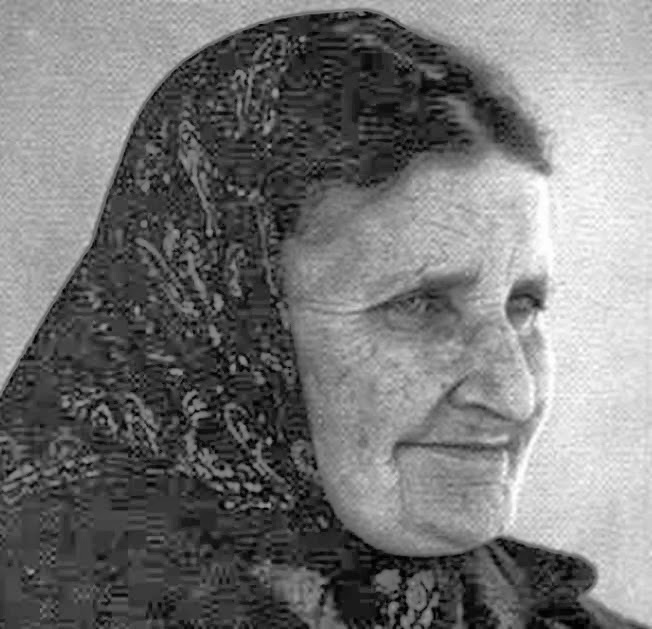 These extraordinary graces inspired in Therese Neumann a deep and most profound trust and confidence in God, which was very much needed in what was soon to come in her life. In February of 1926, Therese fell ill with what was believed to be influenza. On the morning of the first Friday of Lent, March 5, 1926, Therese had a weak spell which forced her to stay in bed. She was alone in her bedroom during most of these hours, in a condition which seemed to be a state of semi­-consciousness, which at least in part was an Divine ecstasy. As she lay thus on her bed of suffering, Therese sud­denly saw the Divine Redeemer in the Garden of Geth­semani. "I saw Him kneeling on the ground, and I saw everything else in the garden, the trees, the rocks, and also the three disciples. They were not sleeping, but in a sitting position, leaning on a rock. They looked quite exhausted. All at once I felt such vehement pain in my side that I thought my last moment had come. Then I felt something running down my body. It was blood."" The blood kept on trickling until toward noon of the next day, and Resl remained so weak that she hardly knew where she was. As the day went on, she noticed that her nightgown was stained with blood on her left side. She found that the blood came from a wound slightly above her heart. Not wanting to cause her parents any fur­ther anxiety, she decided not to tell anyone about the wound, feeling certain that it would soon heal on its own. She managed to clean her side, and then she hid the bloody cloth under the mattress of her bed. The wound, about one and one half inches above her heart, was the first of her stigmata and represents the place where the lance of Longinus penetrated the sacred body of Jesus. The wound was oblong shaped, about one and three-eighths inches in length and three-sixteenths of an inch wide. 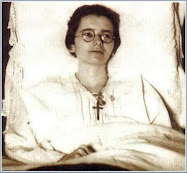 On the night of the second Thursday of Lent, into the second Friday of Lent, March 12,1926, she had another bout of weakness and began feeling ill and was once again confined to her bed. During the early hours of Friday morning, she was rapt in a vision and saw the Saviour, first in the Garden of Olives and then at the pillar of scourging, and the wound in her side bled again. In her childlike simplicity and limited education, she of course did not understand the significance of what was happening to her. It was on this second Friday of Lent that she confided in her sister Creszentia, telling her about the wound above her heart. On the third Friday of Lent, March 19, 1926 she saw in an ecstasy Christ in Gethsemani and as He was crowned with thorns, and the side wound began bleeding once more. This once again alarmed Therese and her sister, neither of whom understood the significance of the wound. Not long after this, her mother noticed it and asked what had happened, and Resl answered that the wound had come of itself. Because Therese seemed unconcerned about the wound, her mother thought it was relatively insignificant, gave it no further thought. After all, Therese was a grown woman at this time, just two weeks shy of her 28th birthday. On Passion Friday (the Friday before Holy Week) March 26, 1926, she saw the Saviour carrying the wood of the cross and falling under its weight. The wound in her side bled again at this time and an open wound appeared on the back of the sufferer's left hand. This new wound could no longer be kept a secret and nor could the wound she bore above her heart, as it began bleeding profusely, and her Father soon discovered it in her attempt to assuage the bleedi . Even the bloodstained cloths which Therese had tug with cloths. Also, the cloths that were previously tucked under the mattress were then discovered. On the night of Holy Thursday, April 1, 1926, Therese saw in a ecstatic visions the complete Passion of Our Lord, from the Garden of Gethsemane up to His death on the Cross, beginning at about midnight on Holy Thursday, and ending with our Saviour's death on the Cross at 3pm on Good Friday afternoon. The suffering which came upon Therese during those hours was so excruciating that words cannot describe it. From the addi­tional wounds on her hands and feet, which were now all completely penetrating, blood flowed profusely, as it did from her eyes, rolling down both cheeks and collecting upon her throat and chest. The sight of Therese suffering on her bed in this pitiable condition was almost more than her family could stand. As the hours passed and her suffering increased, they real­ized that they were witnessing something of divine origin. 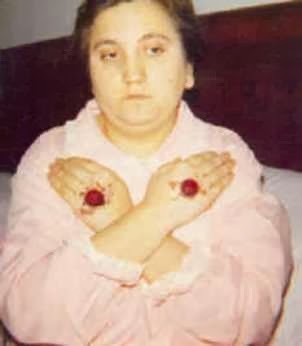 Father Naber had intended to anoint Therese, giving her the Sacrament of Extreme Unction (Last Rites of the Church), but at 3pm that after­noon the ever-increasing, excruciating pain climaxed in the final death struggle. Then, abruptly, it all ended, and Therese fell lifelessly back into her pillows, exhausted even beyond the last ounce of her strength. After a few hours, Therese gradually returned to her normal physical condition. Her parents and Father Naber were so moved by what they saw that it was some time before they regained his composure. 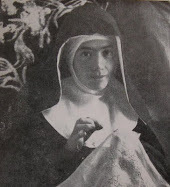 After she had been washed up, Father Naber carefully observed that Therese bore on the back of each hand and on the instep of her feet, "round, open wounds from which clear blood flows." The wounds caused her intense pain; she said that the feeling was as if something "was sticking in there." The side wound caused her great pain also, and in this wound the pain seemed to come from deeply inside. At the culmination of Holy Week, during the morning hours of Easter Sunday, 1926, Therese had another ecstatic vision in which she saw the risen Christ, dressed in a white garment. From this time onwards, the sufferings of the Passion of our Lord would be experienced by Therese each week, usually beginning on Thursday evenings and lasting until Friday afternoon. On Friday, Novem­ber 5, 1926, Therese received nine wounds about her head from the Crowning of Thorns, and also wounds on her shoulders and back which represented her participation in the Scourging. 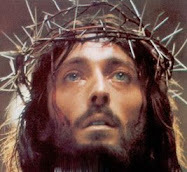 From this point on, the wounds from the Crown of Thorns required her to constantly wear a head-cloth, which can be seen in the many photographs of her. 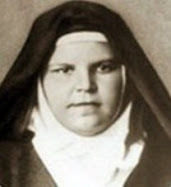 Thus the stigmata on the body of Therese Neumann became complete, including the wound above her heart, penetrating wounds on her hands and feet, the nine wounds on her head, and the wounds on her shoulders and back. Not one of the wounds ever disappeared; they never healed, and they were still imprinted on her body at the time of her death. In 1927 on the anniversary of her death, (September 30), St Therese of Lisieux appeared to Therese in a vision and told her that henceforth she would live entirely off the Eucharist, and would have not need for earthly food. This total abstinence from food and drink continued until her death in 1962. The fast actually began in 1922, but was not a total and complete fast from food or drink until September of 1926. This led to a request by the Bishop of Regensburg that Therese submit herself to a period of medical observation. The request was for a fifteen-day observation, for specialists in these matters considered such a period sufficient. They asserted that hunger might pos­sibly be borne longer than that, but a complete fast of two weeks without taking any liquid nourishment was not possible. Resl's father agreed to comply with the episcopal request, and so from July 14 to 28 inclusive, in the year 1927, Therese was under the observation of four Mollersdorfer Sisters, members of a nursing order, who came to her home. They were placed under oath by the Regensburg ordinariate before and after the observation. All were well qualified for the task, and carried out with the most scrupulous care the directions of Dr. Seidl, the medical supervisor. The directions were very strict and carefully calculated to meet every possible contingency. Therese was not to be left alone for a single moment, day or night, whether at home, in church, or out of doors. For this reason, even her customary confession was foregone. The Sisters were to bathe Therese, but with a damp cloth instead of a sponge. The water for mouth washes was to be measured and remeasured before to Resl so she could swallow the Host was to be measured by the Sisters before it was given to her. Periodic weigh­ing of the body, taking of the pulse and temperature were prescribed. Blood smears were to be made during the Friday ecstasies and compared with a blood smear from the ear lobe taken on another day, after which the hemo­globin content was to be determined. According to the Miinchner medizinische Wochenschriit supplement, No. 46, 1927, the directions went so far as to demand that "All excretions - urine, vomit, and stools - must be gathered, measured, and weighed, and immediately sent to the physician for analysis." Professor Ewald of Erlangen, an opponent of any super­natural explanation of this phenomenon, admitted in a brochure on Konnersreuth that the keenest and most relentless attention was given to the matter of food throughout the period of observation. Despite the constant alertness, it could never be ascertained that Therese Neumann took nourishment or attempted to take it. The professor claimed that the stigmatist ought to have lost weight heavily, but such was not the case. She did lose considerably (3 to 8 pounds in a few days is no slight loss) following the days of ecstasy, but regained this in the course of the same brief period. Without taking food or drink she gained 5 to 6 pounds, so that at the conclusion of the observation her weight was the same as before. 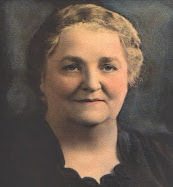 Dr. Seidl, who had been Therese Neumann's attending physician since at least 1918, testified under oath in a Munich court case on April 15, 1929, that there could be no question of Therese having taken any nourishment during the period of observation. He maintained flatly that the abstention of all nourishment by Therese Neumann was a fact, which he had not the least reason to doubt. He added that since September, 1926, the stigmatist took no nourishment at all, not even a bit of water, as she had at the time of the fifteen days' observation. Therese was given many visions of Our Lord, and she also was “shown” many details of the earthly life of our Lord, from His birth until His Resurrection. She was often visited by our Blessed Mother, the Saints and Angels. It is common knowledge to many who visited Konnersreuth that Therese always recognized priests as priests. This was a particularly mysterious phenomenon which baffled many visitors. One day a man dressed in the formal attire of a bishop came to Konnersreuth and visited Father Naber and Therese. 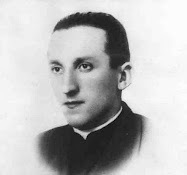 Father Naber was very cordial to him, as he always was, but when Therese came into the room she immediately recognized that this was not a man with consecrated hands. She robustly turned him about in no uncertain terms, telling him to get out and stay out, saying: "You imposter!" It was later reported to the parish that this man was arrested by the police as a con man who wanted to collect money under false pretenses. Therese explained that she was able to recognize any ordained priest by his "consecrated hands”. On occasion (especially during World War II) Priests would come dressed as ordinary lay persons, and she would immediately identify them, addressing them by saying “Hello Father”. She could also immediately tell the difference between consecrated and unconsecrated Hosts. She was able to recognized the presence of the Blessed Sacrament in a church as far away as one mile. When Father Naber asked her on several occasions, in locations unfamiliar to her, whether the Blessed Sacrament was present, her answer was always immediate and definite. When she approached the Blessed Sacrament-whether it was in the tabernacle of a Catholic Church or carried on the person of a priest making a sick call-her wounds reflected this joy, and the pain subsided temporarily. Knowing that Therese always recognized a Catholic Church having the Blessed Sacrament present, a priest once asked her, "Is it also true that you can feel when a visitor has received Holy Communion?" "Yes," she said, "but only within a cer­tain length of time." Once while Therese was in ecstasy, a Benedictine priest came to the Neumann home in the company of other visitors. Shortly after they entered the room, Therese motioned to the priest to come nearer to her bed. Then she reached out and clasped a relic that was suspended from the Benedictine's habit. After holding the relic close to her heart, she kissed it. She explained that it was a relic of the True Cross, and further identified it as a particle from the lower section of the Cross, close to where the nail had transfixed the Saviour's feet. During the few moments taken to identify this relic, Therese's sufferings seemed to subside, but they resumed immediately thereafter. On another occasion while Therese was in ecstasy, she asked a visiting priest to show her his rosary. When the priest handed it to her, she kissed it devoutly and explained that this rosary had once been used by Blessed Kreszentia of Kaufbeuren, Bavaria. 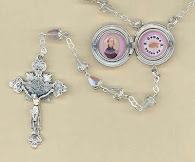 The priest knew the history of this particular rosary to be precisely as Therese stated it. On one occasion a gentleman brought a relic along from Italy. As Therese was touched by the relic, she immediately responded that it was from a saint in Heaven who knew the Holy Father very well. 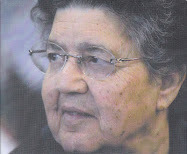 She also told the name of the saint; it was Contardo Ferrini, who was not known at all in Ger­many and whose connection with the Holy Father was known by only a few trusted people. Again Therese startled the visi­tors by telling the incidents of his life, which they themselves did not know. It turned out that she was correct, as always. It was discovered that there was only one thing that would bring Therese out of a Passion ecstasy momentarily, and that was the blessing of a Catholic priest (or bishop) who might be present. She would respond to the blessing with the words: Thanks be to God, Father. (or your Excellency). Because this article is now quite lengthly, we will simply relate a few other remarakble matters, without going into details. One can read further into these matters in the books that have been published. As a Victim Soul, Therese suffered primarily for the souls of sinners. There are many documented events which give ample proofs to the fact that remarkable conversions were made in persons chosen by God, and obtained through specific sufferings that she was given. She obtained these conversion by her participation in the Passion in union with Jesus. In other words, she suffered in union with Jesus for the conversion of sinners. At times she was “shown” whom a particular was that she was suffering for. On other occasions, she took upon herself the physical sufferings of others, always of course, through the permission of God. She once took upon herself a throat disease that threatened the vocation of a young seminarian. She suffered this throat ailment for many years, until the day when the newly ordained seminarian, now a Priest, celebrated his first Mass. At that moment, the diesease completely disappeared. Interestingly, the taking upon herself of this throat disease coincided with the beginning of her perpetual fast from eating and drinking in 1922. Lots of details can be found in the books concerning her use of various languages in her ecstasies, including Hebrew, Greek, Aramaic, Portuguese etc…It seemed that she was able to speak and understand whatever the native tongue of the one whom was appearing to her, for example the Hebrew Greek and Aramaic of those of Jesus’ times, the Potuguese of St Anthony, the Latin of St Lawrence and even the French dialect of the Pyrenees in the vision of St Bernadette at Lourdes. In the late 1950’s Therese began having heart troubles. As time when on, she began having mild attacks of the heart. On the day of her death, she received an rare grace, that of as a miraculous Communion, an event which usually happened only on high feastdays; the Host appeared on Therese's tongue, having been given her by Our Lord Himself. The time was 10:30 a.m.
After the vision and the reception of Our Lord, Therese was fully conscious, and during an attack she was still able to ring for her sister Marie. Therese appeared to be very uncomfortable, and it was apparent that the death struggle was in progress. Marie was greatly alarmed and immediately called Father Naber. As he stepped into the room, Therese Neumann had already presented her holy soul to her dear Lord and Saviour Jesus Christ. 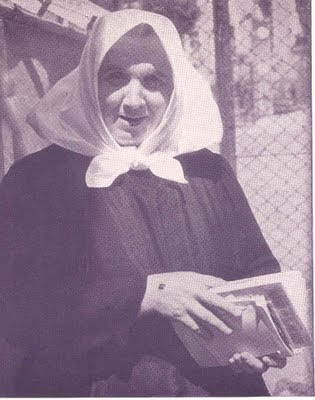 Thus on September 18, 1962, one of the greatest mystics and stigmatists of our time passed to her eternal reward. The pastor of Konnersreuth at the time, Father Schumann, performed the Rite of Extreme Unction. No one in the room really believed that Therese was dead. She had died more than a hundred deaths in her lifetime, and many times everyone thought of her permanent passing from this earth. Candles were often lit on such occa­sions, because there was no pulse, no breathing or heartbeat; and she had often been pronounced dead by doctors. How­ever, this time, after a period of hours had passed, they finally called in three doctors, who eventually pronounced her dead. With good reason, the doctors were ordered to watch and check the body of Therese, starting Tuesday, September 18 until the follow­ing Saturday before the coffin was closed for the funeral. The scientific verdict after the final examination by the doc­tors was: there existed no death odor, no death spots, and there was no death stiffness. Also, there was no breathing, and Therese's lips remained fresh and moist. It must be remembered that at that ime in Germany, people were not normally embalmed, and neither was Therese, and furthermore, the record shows that at the time of Therese's death on Tuesday until her burial on Saturday, the area was experiencing a heat wave, which normally would precipitate decomposition, but after 5 days of laying in state, her body remained as a living person with no usual signs of death. 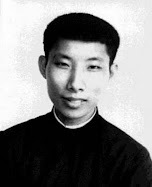 and prayer requests attributed or entrusted to her should be reported to the Chairman of the Department for Beatification and Canonization Processes, Rev. Domvikar Georg Schwager, Schwarze-Bären-Str. 2, D-93047 Regensburg or Kath. Pfarramt, Kirchplatz 3, D-95692 Konnersreuth. Sources for this article are the excellent books "Therese Neumann-Mystic and Stigmatist" by Adalbert Albert Vogl, Tan Books, 1987 availible from Tan books here, and also "The Story of Therese Neumann", by Albert Paul Schimberg, Bruce Publishing Co., 1947. 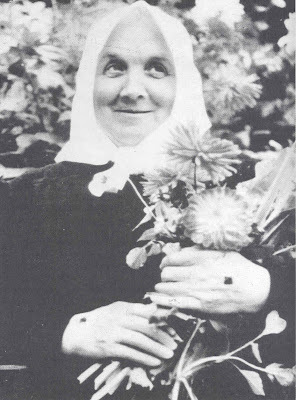 July 2018: For those interested in more information about Therese Neumann I just published a wonderful accompaniment to the article above--"Eyewitness to an ecstasy- A priests visit to the mystic, Therese Neumann"
Thank you so much for posting this article on Therese Neumann. I have been interested in Therese for quite a few years now and have quite a number of books regarding her life. Thank you for your hard work on these beautiful websites. It is nice to hear from you again. Thanks for your kind comments. It is really a pleasure to meet you. Thanks so much for sharing a bit of your experiences concerning St. (Padre) Pio and also Therese Neumann. It is wonderful to hear of the extraordinary healing that your wife received through the intercession of St Padre Pio. He is greatly loved by the faithful throughout the world. God only knows how many graces he obtained for the Church (that is all of us) throughout his 50 years of suffering with the stigmata. Thanks once again for sharing a bit of your journey with us. Thank you so very much for this amazing blog. I grew up in the Catholic faith, taught throughout my childhood by impovershed Irish nuns, and I will never grow tired of learning more and more. I grow spiritually every day that I am alive, and reading your articles have made me so happy. I will continue to read on daily. Thanks so much for your kind comments. I am glad to hear that you are enjoying the website. I plan on adding a few new articles in the upcoming days and weeks. May God bless you and yours! This article was great. I have a picture of Therese Neumann with my grandfather in WWII. My grandmother just gave it to me so I was interested in getting more information on her. I am so very grateful to have had a person unexpectedly send me this website on Mystics of the Church. Only 2 days ago I had a longing to be able to read Spiritual and helpful matters, and Lo! God sent it to me. Praise and Thanks be to God. I am really happy to hear that you are enjoying this blog. Please let me know if you have any suggestions! Thank you very much for posting articles on saints. It is really so inspiring to read how they have suffered great pains in their lives for the love of Jesus and Mary. It makes us think twice before we commit a sin and do something wrong. Please keep posting articles to bring us back closer to the LORD. i have read that therese said that"the US would suffer economic collapse due to natural disasters about the beginning of the 21st century " is this quote true??? anyone know about this statement?please help...what book is this in? It is nice to meet you. About your question, well, I have the 2 books listed in the article above on Therese Neumann and I definitely don't recall reading that quote---I am pretty sure that quote would have struck me, and I would have remembered it, if it was in either of these books. Perhaps she did say it, but I have never come across it in print to the best of my knowledge. i have read that therese said that"the US would suffer economic collapse due to natural disasters about the beginning of the 21st century " is this quote true???" I too have read a quote similar to this. My recollection is that because of America's mercy and generosity, she would not suffer a war on her own soil but but would suffer natural disasters and economic collapse due to sins of impurity. Unfortunately, I cannot recall who said this! But, it is something I have always remembered and taken some comfort in. I would love to find out about who said this and if it was a valid source. I'm very blessed to have inherited a beautiful hand-carved wooden cross presented to my husband's great aunt by Therese Neumann in the late 50's. I cherish it more now after reading this account of her life! Thank you for this wonderful site. age 21 while living on the German/Czech border I went to see Therese Neumann on Good Friday. I was at her bedside at 1:30pm in 1959. She was truly suffering, but the main thing I will carry until my death is the look in her eyes of total love and total pain. when my life became difficult or unbearable I only had to remember this and knowing what Our Lord suffered, mine was nothing. All of your story is true. I might add a few things that I know. The American GI's visited Konnersreuth at the end of WWII and met with Therese Neumann. They found the lovely church across from her family home filled with bathroom fixtures and other things placed there by Hitler's orders. Since many people in Konnersreuth at that time did not have such luxuries..the GI's connected them all through the village. They cleaned up the church so that the villagers could attend Mass. They loved Therese Neumann and as a special gift one day brought her a horse. She adored that horse and was so grateful. Six years ago, my daughter Karen took me back to Konnersreuth and we were met by Therese Neumann's niece. I have become good friends with two of her nieces through the years. 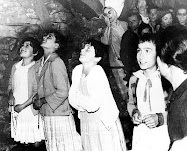 We visited inside the family home and I could tell them how the backyard looked in 1959..with a grotto to the Blessed Mother and a large atrium with white love birds. I visited again in the same bedroom and stood where I received that long ago message. If I had known as a young girl what I had in store for me I might have jumped off the Empire State Bldg. We saw the Cemetery where she is buried and also went inside the lovely church. There is a chair behind the altar where Therese sat during Mass out of the view of people. You can still see all the blood stains from those years. And now, her "cause" is in Rome. The German people await, many elderly still living in Konnersreuth and many like me...we hope and pray that God will allow our Pope to make her Blessed in our lifetime. If so, and I am still on this earth, I will be there and one of the happiest to attend!!! Oh, Therese's nickname is "Resl"..pronounced "REE-SAL". Thank you once again for sharing all this information. My email address is sylviadody@aol.com if anyone has questions. It is nice to meet you! Thank you so much for your very interesting and enlightening comments concerning Therese Newmann and your meeting with her on Good Friday in 1959---which by the way in that year would have been March 27, (1959)--it is really special to hear from someone who met Therese during her lifetime. And I wholeheartedly join you in praying that Therese Neumann may be raised to the altars as a canonised Saint, if such would be God's holy will. Thanks again for your comments and may God bless you and your loved ones! Did the local bishop ever make a pronouncement on her authenticity? Read "The Case of Therese Neumann" by Hilda Graef for the REST OF THE STORY. Disturbing and scandalous documented evidence against her. 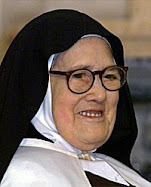 Concerning the current position of the local Bishop, in 2005 Gerhard Ludwig Müller, Bishop of Regensburg, formally opened the Vatican proceedings for Therese Neumann's beatification. Thus she is currently considered a "Servant of God" by the Catholic church. When one studies the lives of the mystics, one of the first things one will discover is the strong opposition of numerous persons from within and outside the Church. The same goes for Marian apparitions. This is simply part and parcel with mystics and visionaries. And stigmatics such as Therese Neumann, St. Padre Pio, St Gemma Galgani etc are are especially scrutinized by skeptics, so it is really no surprise that some persons have their doubts concerning Therese. In fact, this is understandable and is completely normal. Thanks again for your comments. 1962; that is approximately 36 years. I am a teacher in a Catholic High School. Each year while teaching the Sacrament of Eucharist I tell the students in my classes about a few Eucharistic miracles. The story of Therese Neumann is one of those. It is such a wonderful story of true divine love. I know it has left a few students in awe of how God touches our lives. First of all excuse me for my English, but I will try my best. There are many years that I know about Therese Neumman. Yesterday I was reading a book in French written by Jean Prieur titled "Hitler, medium de Satan". There you can read some statements about Therese and the Nazis. In page 15 it's stated: "While Therese Neumann was in ecstasy, in a state or the physical senses are abolished, a visitor had the idea to put her hands on a postcard representing Hitler. 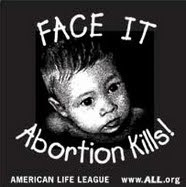 She rejected the photo, as if this contact was burning, and cried, horrified: "Smoke and fire of hell! " In the last chapter of the the book, it is stated that when Hitler realized about the defeat in the war, all the astrological predictions failed etc.. then he reminded Therese, and sent the S.S to Konnesreuth to catch her. She must have heaven power! she was the only who guess the defeat of Nazi Germany. Hitler repected her but asked to kill two of the close friends of Therese: M. Gerlich and Mr. von Lama. Therese had a divine warning and she was hidden in a cave. The S.Ss couldn't catch her and then the decide to bomb Könnesreuth with the aviation. It was only 5 days before the end of the war. My question is: Do you know if this story is true? I cannot find it in any other reference. While I have read *several* books in english on Therese, I definitely do recall reading that Therese had said that Hitler and the SS would be defeated, I don't recall reading anything else about this subject. Perhaps others who read this article will be able to provide some further information. Thank you so much for this Article Glenn! I sit here at 4am reading with complete astonishment and joy. I am a young catholic chasing my faith on my journey to be closer to God! I really appreciate this article and greatly look forward to reading more on the site. You've given me a whole new light on the Saints and I can't wait to learn more! Thanks for your kind comment. I pray that Jesus may guide and bless you in all of your ways, and may He lead you ever closer to Himself. 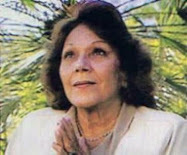 Would you know where on the web i could find a good book about therese s life.i have learned alot from bits. Of info but cant find a really good book about her life.God bless. The original autobiography seems to be out-of-print now. Go to Amazon books. They have some there. Correction: Saint Therese of Lisieux departed this world on September 30th, 1897; not, in the year 1898. Thanks Stephen---I fixed the wording. Thank You and God's Blessings. 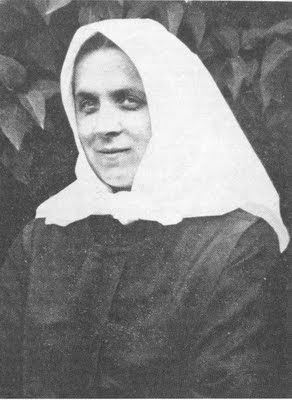 Venerable Servant of God Therese Neumann was born in the year 1898. My mother was born in Fraustadt E Preussen in 1917, she told be about Teresa von Konnersreuth. She never went to see her, but knew about her having the stigmata. I am glad I happened to find this information about her, very interesting, thank you, I love reading about the saints. 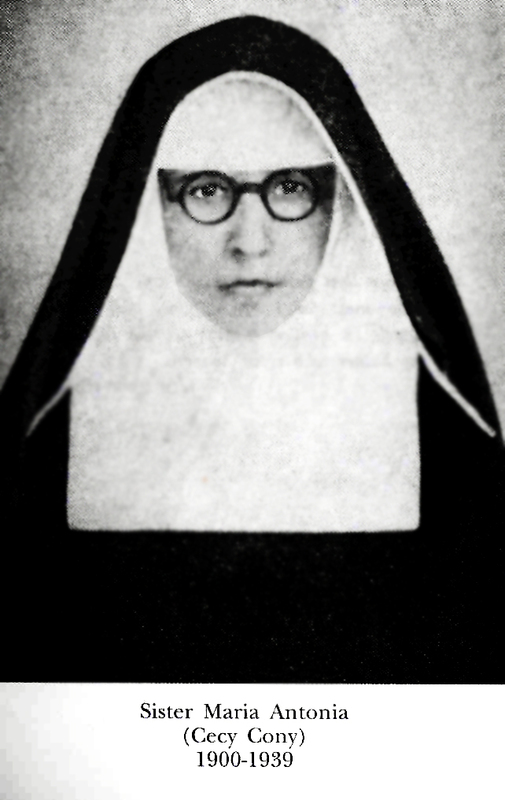 I believe and want a tiny relique of Blessed Therese Neumann. Can you please, help me to have. I urgently need for my severely ill wife. 6 Blenheim Place, Hounslow, TW33ED, UK. Thanks. I came across a summary of two visits to Therese Neumann by my Uncle, Rev. Linus Schrems, he was a Chaplin in the US Army stationed in Regensberg.It includes pictures of Him, Therese and a horse (maybe the one the GIs gave her) and a blood splotch from her ordeal.If you email me your mailing address I will send it to you.I will also send to Rev. Schwager. I suggest you read the book, "The Case of Therese Neumann," by Hilda Graef (1951). Your very good intentions in promoting her are obvious. 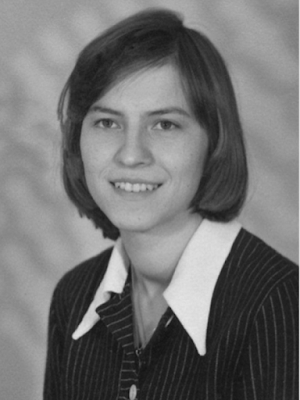 Indeed, fifty years ago, when I was a college freshman, reading about Therese Neumann strengthened my faith. God works in strange ways. Now I much more accurately regard her as a poor neurotic, a victim of hysteria. Without imputing guilt to her, she was a poser, a pretend saint, and someone who makes ultimately makes believers look credulous. I actually visited the home of Theresa Neumann when she was suffering from the Stigmata. I was 11 years old and it made such an impression on me! I remember her bleeding eyes and she lookd so sweet but you could tell she was in the presence of the Lord. I thank God for this experience. I will pray to her for a miracle for our family. God is so Amazing! I am now 77 years old. Where can I get info and prayer cards of this blessed lady!! Thank you. I am now 76 years old.